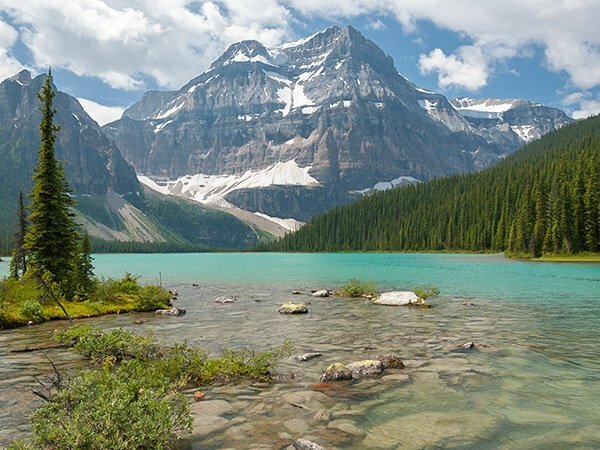 If you love backpacking in the wild, you won’t find a better experience than a backpacking trip in Banff National Park. Our favorite trails include great options for beginner backpackers, as well as multi-day treks for seasoned backpackers looking to enjoy the solitude for days at a time. One of the reasons backpacking in Banff is so special is the variety of extraordinary scenery you can enjoy along the way. In fact, while there are many amazing destinations, you don’t need to aim for any particular place to get a world-class backpacking experience. The trails are well-maintained, the air is pure and you will walk on the banks of rushing rivers and small streams, along the shores of crystal clear lakes and through primeval forests. Here are seven of the best backpacking routes in Banff National Park. Starting at the Sunshine Ski Resort, this is one of the best backpacking routes in Banff National Park, heck, one of the best backpacking routes on earth! 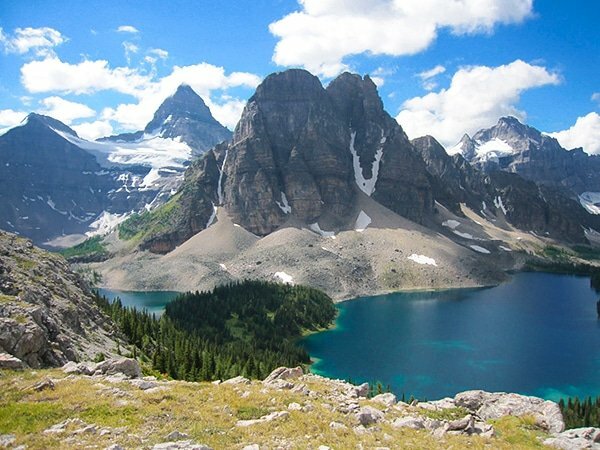 You will hike to stunning Rock Isle Lake, go through Citadel Pass after which you descend to Mount Assiniboine Provincial Park in British Columbia. Once at Mount Assiniboine, you can camp at Lake Magog while you explore the pristine mountain lakes, glaciers and granite mountain peaks that you expect to see when backpacking in Banff. On your way out, you can retrace your route in, arrange a helicopter or you can go through Wonder Pass, past Bryant Creek to the Mount Shark trailhead. Two remote crystal clear alpine lakes, Devon Lakes are 30 kilometers into the wilderness. You will need to go through three mountain passes and most of the trek is above the tree line. This means spectacular vistas and lovely, verdant alpine meadows, just what you would expect when backpacking in Banff National Park. The trek starts out with a steep ascent but soon becomes a gentle upward slope. Enjoy this stunning backpack in Banff. 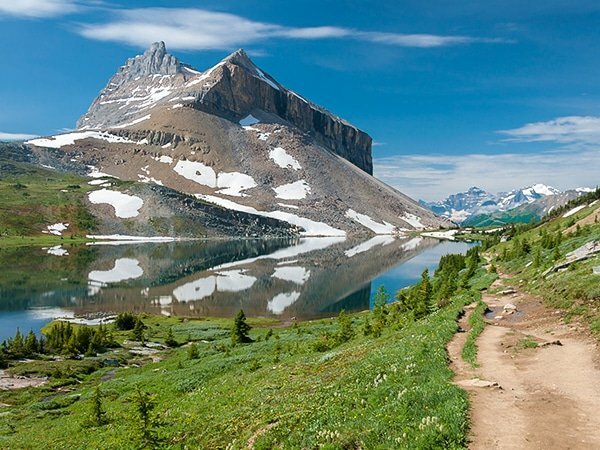 Skoki Loop is another of the best backpacking routes in Banff National Park. The Skoki area, located near Lake Louise Ski Hill, is world famous for alpine beauty and adventure. Baker Lake, on your way, has a great campground. If you plan to make this trek and like to scramble, then you’re in luck: there are some wonderful scrambles along the route of this backpacking trail. Enjoy this stellar backpack in Banff National Park that starts on Hwy 93 in Kootenay National Park and ends at Sunshine Ski Hill. Along the way backpack through three amazing passes in the glacier-studded, jagged peaks. 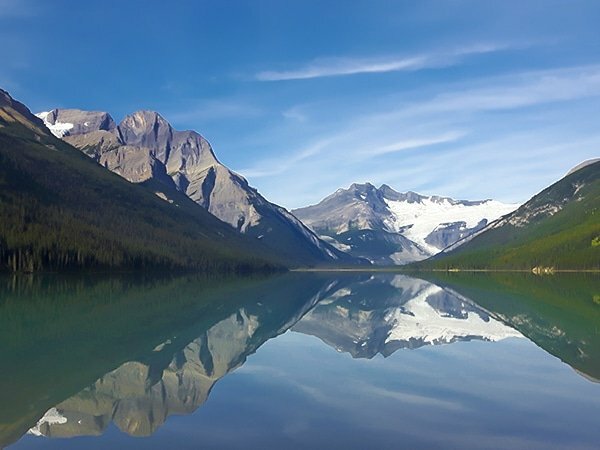 Take this trip at a leisurely pace to enjoy one of the most beautiful treks for backpacking in Banff. 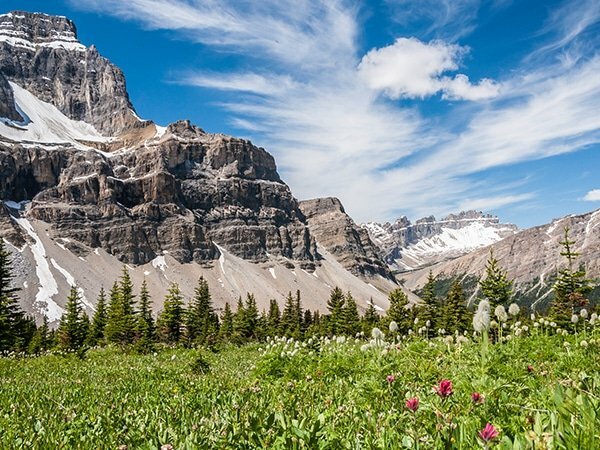 Each pass has something special with myriad wildflowers, tarns, several pristine lakes and primeval larch forests, just about everything the best backpacking routes in Banff National Park have to offer. Egypt Lake is like a little sapphire gem set in Healy Pass. One of the best backpacking trails in Banff National Park, this is a very popular area, and reservations fill up fast. The meadows are full of wildflowers in early summer and the larches turn bright yellow in the fall. You can camp at Egypt Lake and take day trips to several nearby destinations such as Pharaoh Lake and Scarab Lake. 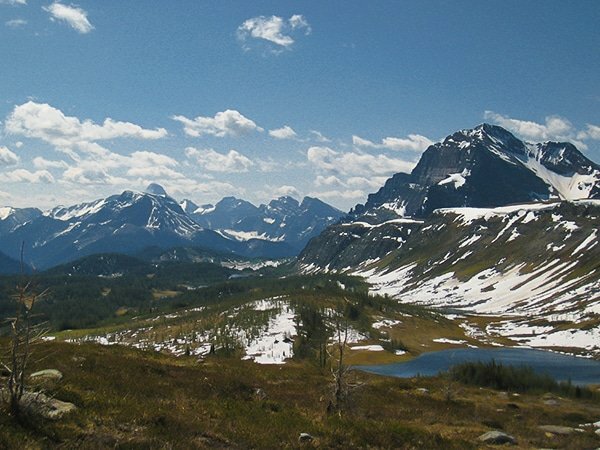 This is one of the best backpacking routes in Banff National Park for beginners. It is suitable for a weekend excursion and has a good campground at Glacier Lake. The fourth largest lake in the park, Glacier Lake is fed by the massive Lyell Glacier. The surrounding mountains add majesty to this amazing destination. Another backpacking trail that is a great opportunity for beginner backpackers in Banff is Lake Minnewanka. Lake Minnewanka offers the stunning scenery you expect in the Canadian Rockies without the strain of too much elevation gain. 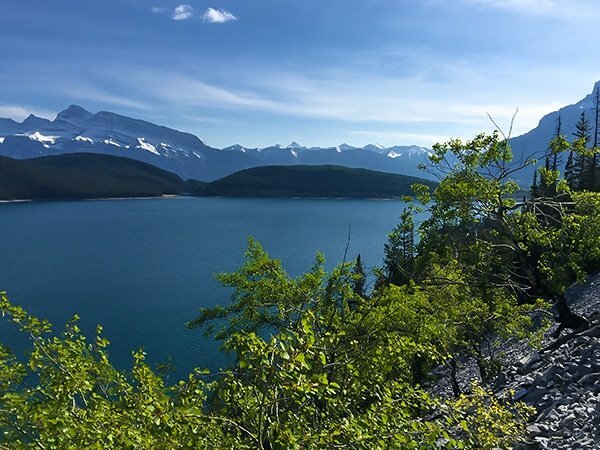 You can hike up Aylmer Pass or Aylmer Lookout and turn back or continue on to several trails that are not often explored. Oh, I do remember the lovely Banff. It was THE location I got hooked up on hiking. I just wish I would have enough time to do all of these trips!